The team at DFT® is proud to announce that we are a recipient of the 2017 Pennsylvania Company of the Year award from the World Trade Center of Greater Philadelphia. This year marks the organization’s 15th Annual World Trade Centers Day Awards and Celebration, which will recognize the achievements of leading businesses throughout the region and the economic contributions of world trade centers across the globe. The celebration, which will be held on May 11, 2017, at the National Constitution Center, is set to honor two Companies of the Year recipients as well as the winner of the Global Business Leadership Award. Individuals and companies will be recognized for both business leadership at the local level and global successes, which have, in turn, strengthened the region’s economy. Recipients of this year’s awards include DFT® (representing Pennsylvania), Destination Maternity (of New Jersey), and Dan Fitzpatrick, president of Citizens Bank of Pennsylvania, New Jersey, and Delaware and head of national mid-corporate and industry verticals. Various individuals representing corporate, governmental, diplomatic, and academic sectors will be attending the event to connect with other industry professionals and celebrate the evening’s honorees. This event is open to both members and nonmembers, and anyone interested in joining the celebration is encouraged to register online. A bi-state 501(c)(3) nonprofit organization covering Southeastern Pennsylvania and Southern New Jersey, the World Trade Center of Greater Philadelphia is dedicated to helping businesses develop effective management strategies for international commerce. Acting as the region’s leader in international trade, the World Trade Center of Greater Philadelphia provides local businesses with a wide range of growth opportunities such as one-on-one trade counseling, market research, global trade missions, and a diverse network of connections from 322 world trade centers across 89 countries. To learn more about Greater Philadelphia’s 15th Annual World Trade Centers Day Awards and Celebration, visit the event page here. 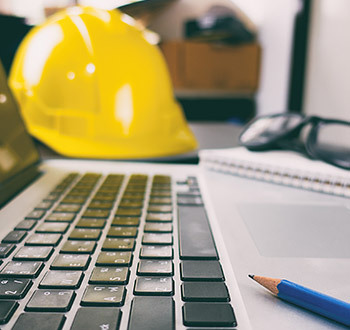 Across all industries, companies are constantly seeking ways to reduce project costs and downtime without sacrificing the quality of their products — a challenging balance to achieve and maintain. Additive manufacturing, more commonly known as 3D printing, allows businesses to streamline and speed up production without forgoing quality. 3D printing is not yet refined enough to replace any current full-scale production methods, but it is an invaluable method for prototyping. Prototyping is an extremely important step in product development. Prototyping custom manufactured parts, in particular, provides the opportunity to evaluate your design, demonstrate its concept, inspect it for flaws, correct any issues, and improve overall design. 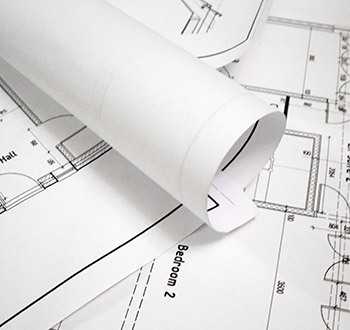 However, traditional prototyping can be a very time-consuming and expensive process. Ford Motor Company has embraced 3D printing of manufactured parts for prototyping purposes, and, over the course of only a few years, has saved millions of dollars in prototyping costs and months upon months of development time. As an example, an intake manifold is one of the most complex parts of a vehicle; with traditional methods, this took as long as four months and as much as $500,000 to prototype. With 3D printing, Ford has cut that down to four days and $3,000 dollars, freeing both time and money for testing and design optimization. Besides saving costs and time, additive manufacturing allows the same CAD software to be used to create various geometries, making it an extremely versatile process. And unlike CNC machining, 3D printing produces minimal waste, as the process only prints the material actually needed to create the desired product. Prototyping is notoriously challenging in the valve industry; valves are incredibly complex multi-component parts that require a full set of custom tooling to prototype. Tooling is a huge driver of time and costs for valve prototyping, especially for check valve prototyping. Luckily, 3D printing is making as big an impact in valve manufacturing as it is in car manufacturing. 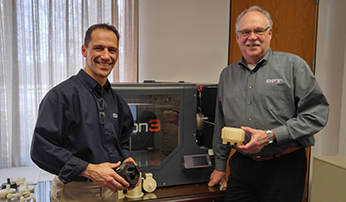 DFT® Inc. has acquired a 3D printer that we use for valve prototyping, and its impact has been tremendous. This printer provides us with functioning 3D models to present to clients, which has proven to be a huge boon for collecting quality feedback from customers. 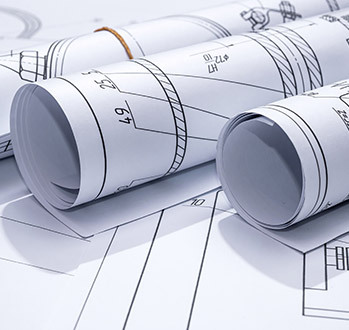 Compatible with all existing CAD software, it allows our designers and engineers to incorporate that feedback almost immediately and carry those ideas forward as the project progresses. Perhaps most importantly, it allows us to prototype valves for customers at drastically lower price points than we were capable of previously. Since 1943, DFT® Inc. has been offering industry-leading valve manufacturing services, as well as check valve testing capabilities. Our 3D printing technology has allowed us to improve our prototyping and overall design offerings while decreasing costs and downtime for our customers. If you are an engineer interested in our prototyping services, the DFT® Inc. CAD Library is a great place to start. 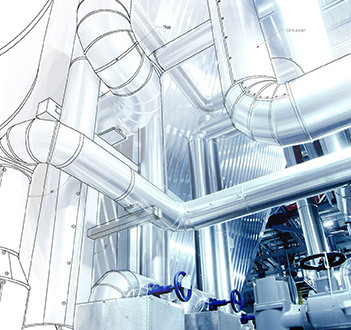 Utilize the CAD Library to view our check valve drawings, which showcase models of various types, sizes, and end connections. Fall shutdown season is upon us. Once a year, generally in September, manufacturers spanning every industrial sector — from metal stampers to power plants — shut down for anywhere between 1 to 3 weeks. 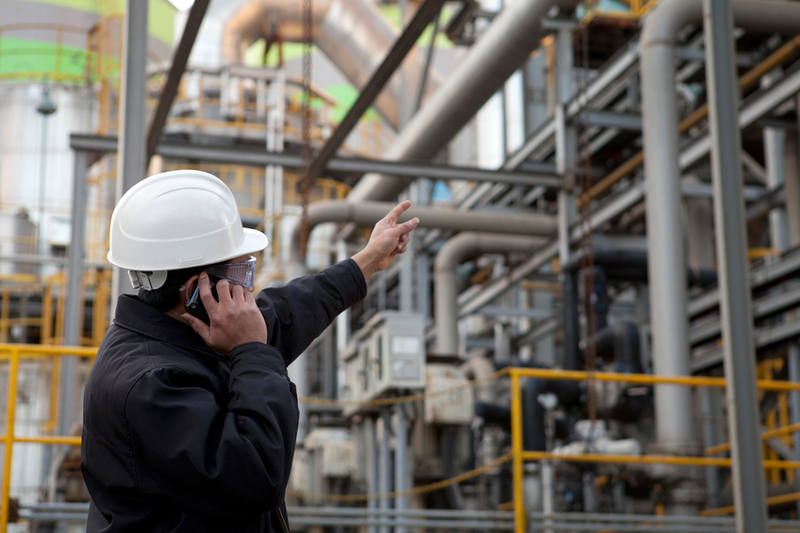 As you well know, these fall shutdowns are not company-wide vacations; instead, they allow facilities to perform the important cleaning, repairs, maintenance, component or system replacements, and facility inspections required to keep your plant running smoothly at peak efficiency for another year. In preparation for your fall shutdown, you should be working with a valve manufacturer to ensure that all of your valves are functioning properly or, when they are not, to repair or replace them. Fall shutdown is the ideal time to do so. Valves are an important aspect of many industrial processes but there are perhaps no facilities more dependent on their proper functioning than power plants. Manufacturing facilities and power plants alike tend to run across three problems when attempting to repair their valves. Many facilities, particularly older ones that have not had a full overhaul in a number of years, have older valves. Plant and maintenance managers often prefer to repair these valves rather than replace them. Often, however, they will find that the original valve manufacturer is no longer in business and that the required valve repair kits are no longer available. 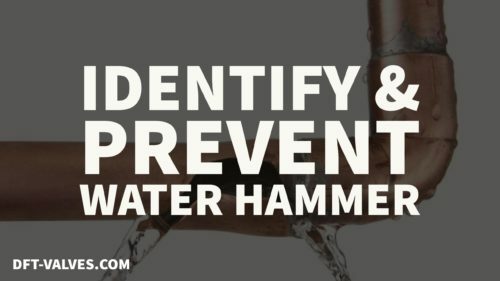 The second common problem is that, even when they are repairable, a facility’s valves may be so old that they have become obsolete. Valve technology and manufacturing is constantly improving — there is a high chance that your old valves introduce a potentially costly inefficiency that, though unavoidable at the time of installation, has been corrected by newer valve technology. Finally, many plant and maintenance managers find that the cost of repairing older valves and fitting them with replacement parts can be prohibitively expensive. This can be particularly true in facilities that deal of condensate, such as power plants. 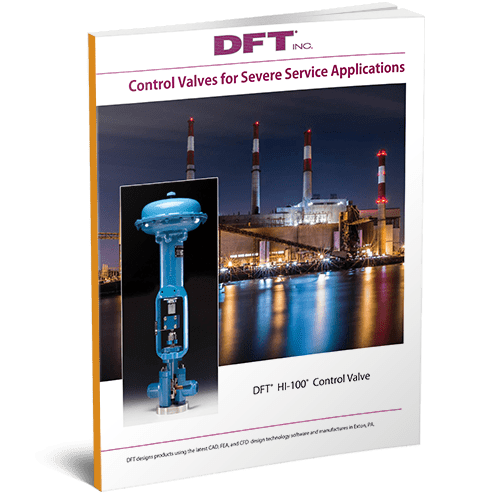 With more than 70 years of valve manufacturing experience, DFT® Inc. is a leading control and check valve manufacturer. 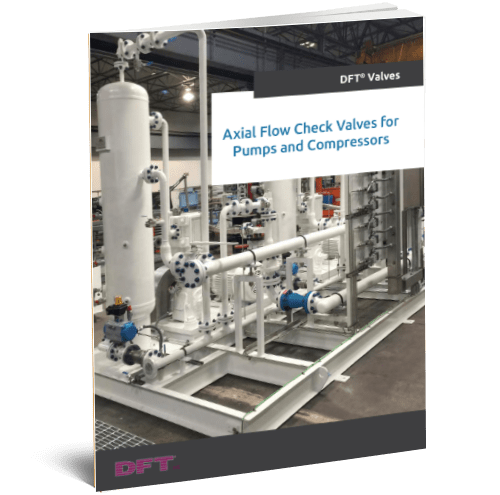 Prior to shutdowns, DFT can work with your planners and maintenance team to provide education on the new valve technologies available for your facility. DFT is available to evaluate your valves and your piping system as a whole, to help reduce turbulence and potential failure. Our team can help guide you through the process. Our experts will help you to determine whether cleaning and repair is a viable option, or if you should consider replacing your valves with newer valve technologies. If you determine that replacement is the better option for you, we will provide those replacements for you within the timeframe of your shutdown. Typically we replace failing swing and double door check valves with a newer technology provided by spring assisted, silent check valves. 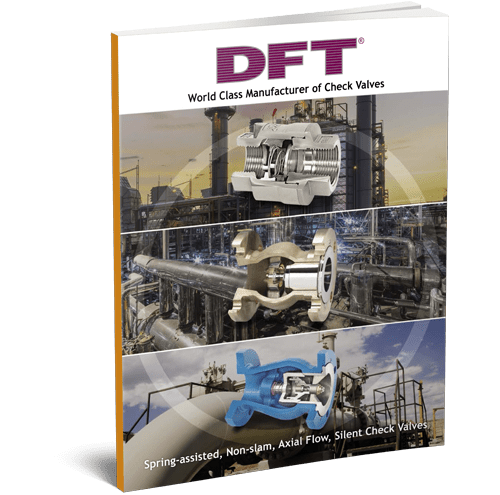 From the world renowned DFT® Silent Check Valves to the innovative DFT® HI-100™ Control Valves, DFT®’s team of valve experts has experience providing recommendations to a variety of industries. Industries served include power generation, petroleum production & refining, building maintenance, chemical processing, water treatment, food & beverage, and more. Facilities with steam applications, namely power plants, often experience high levels of condensation which, when not managed properly can cause any number of problems — rust and scale, lubrication degradation, reduced performance, and even machinery failure, to name a few. We strongly encourage our power plant clients to consider the SCV® valve 3” and smaller for condensate and steam applications. 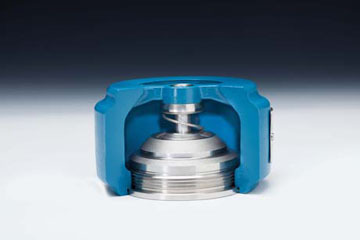 Learn more about the SCV® valve by downloading the spec sheet. Our larger diameter flanged and wafer style valves are available in sizes through 36” and larger pressure classes ranging from 125#-2500#.